We look at your bussiness as something unique. We treat your customer at the same way. Create your own campaigns, manage your videos and monitors results in real time. Embed videos in your email marketing or remarketing campaigns. There are no limits to your creativity. Use your existing Email Marketing Platform (ESP) for sending campaigns as usual. 85% of videos will be viewed directly inside the customers email. 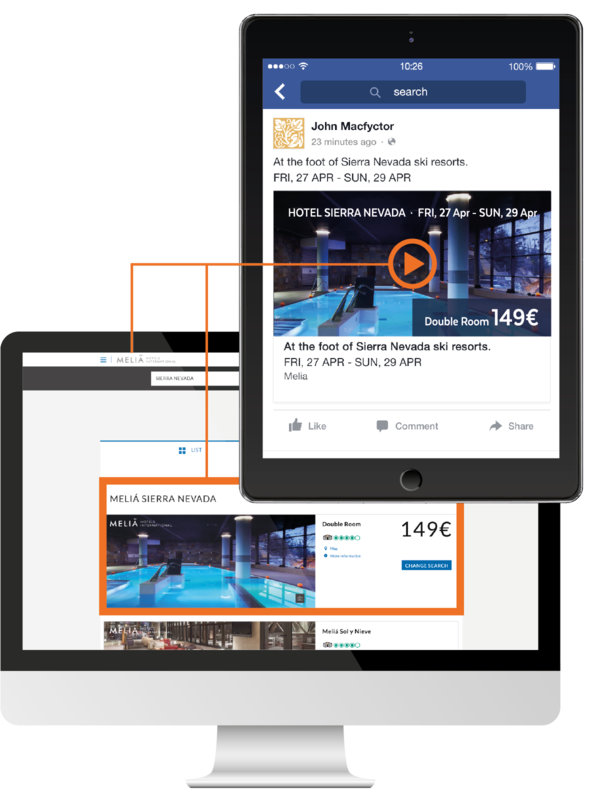 Use the Viewed Platform to acquire new qualified customers from external databases and for cross-selling or loyalty campaigns to your existing customers. 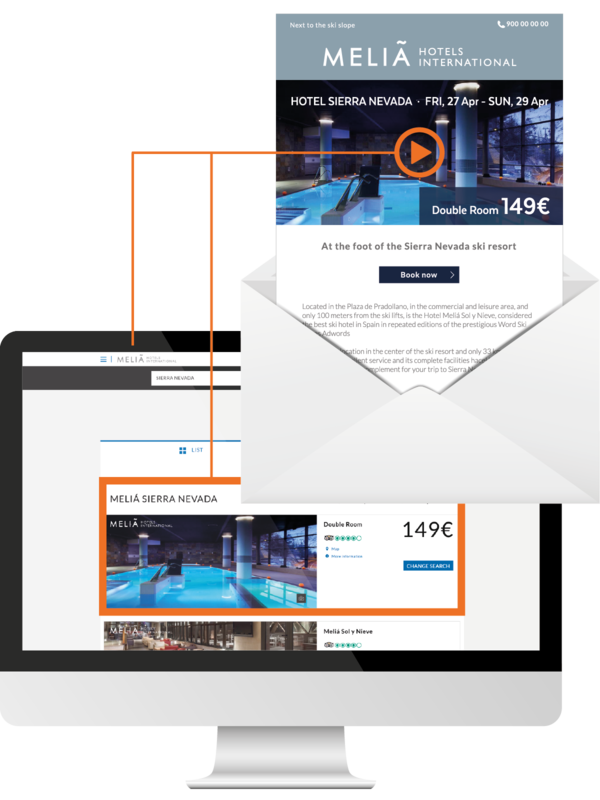 As a pioneer in embedding and playing video in email, Viewed is the first company worldwide capable of creating thousands of one-to-one data-driven personalized videos in real time for email remarketing. Easy integration with your CRM, website or using the Viewed API. Use Viewed Personalized Videos to boost conversions on your landing pages. You will see a significant decrease in bounce rates, while increasing visit times and conversions. Viewed can easily create thousands of one-to-one personalized videos e-commerce, banking, travel, insurance or other online business. Personalization can be both user-level and product-level. Any data container like CRMs, DSPs, DMPs, Adserver, etc. can plug in to Viewed API to integrate personalized videos in real time. Use Viewed to create personalized videos for customers that didn’t respond to other campaigns, and impact them in display and/or social media. 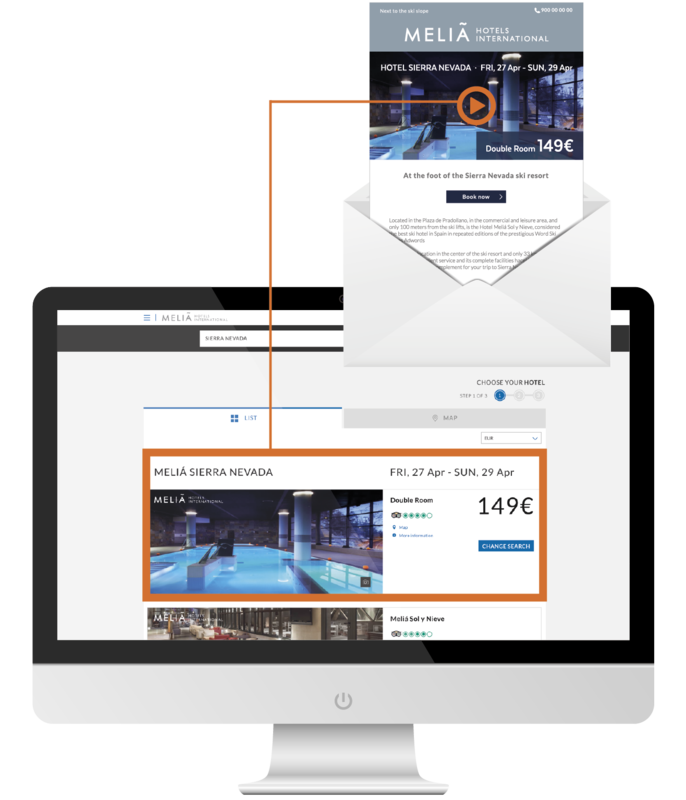 Data-driven personalized video for remarketing in real time, with pictures of the hotel, price, destination, dates and even with a voiceover in the user’s login language. We combine video email with personalized video email. We improved your acquisition metrics and qualified the database through video email campaigns and later we boost your conversion rates through personalized video in email. Personalization as far as you want, voice, texts, images, video cuts. Segment and love your users with your campaigns. Transform positive results into metrics that you could not imagine reaching. Our personalized email video campaigns for remarketing increase your conversions. Personalize your recommendations, type of insurance, prices…A completely personalized offer in real time in each email. An audience that follows your brand is always receptive to your communications, but how to improve your conversion rates? Launch video email campaigns and improve your acquisition, recover abandoned carts through personalized video. Our personalized email video campaigns for remarketing increase your conversions. Personalize your recommendations, type of insurance, prices … A completely personalized offer in real time in each email.